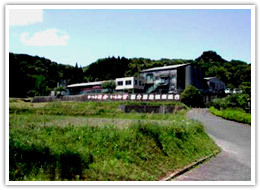 Located in Kagoshima prefecture, Kokubu Shuzou Cooperative Partnership is the originator of "imo koji" shochu. In 1988, they first created imo shochu made by 100% imo (sweet potatoes), called "Imo Koji Imo"; previously imo shochu was made with rice malt rather than potato malt. 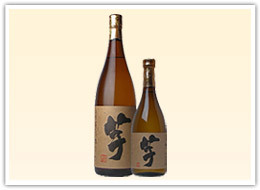 They are a pioneer manufacturer of shochu that really features the flavor of sweet potato. The company started out 25 years ago as a partnership of several small local breweries. 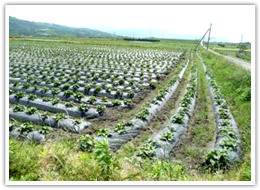 They are located in a mountainous area in Kokubu, about a 10-minute drive from the city center. They judge the concentration of unrefined sake using Brix %. 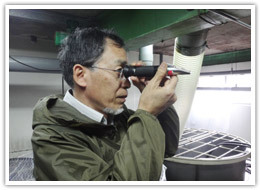 We interviewed Mr. Yasuda, Production Manager and Chief Brewer, who gave us a step-by-step guide of imo shochu production. 1. 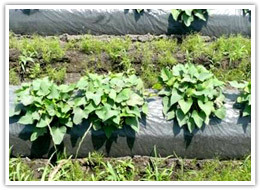 First step to making imo shochu is to grow imo (sweet potatoes). They exclusively use sweet potatoes grown in Kagoshima prefecture and Miyazaki prefecture. 2. Sweet potatoes are harvested in the fall. 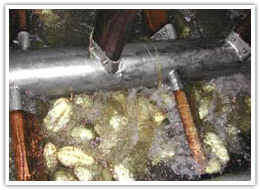 After harvest, it gets transported, washed, and then cut up in to 2-3 even pieces. Dirt is completely brushed off. 3. Cut sweet potatoes are steamed and then cooled. 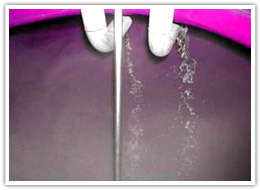 Then, it gets crushed into small pieces before it gets thrown in the tank, so that it dissolves easily in the unrefined sake. 4. 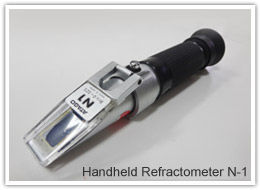 After unrefined sake has been filtered, they take a Brix measurement using handheld refractometer N-1. Concentration of unrefined sake correlates to Brix value. If the reading is inconsistent, they take another reading. 5. 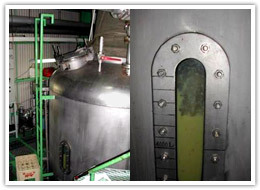 After unrefined sake has fully fermented, it is placed in a still for distillation. 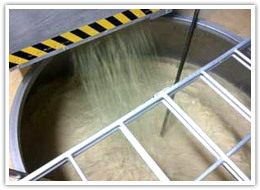 It takes about 10 days for the 2nd stage unrefined sake to mature. 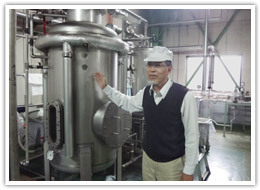 Distillation period for imo shochu is September to December. 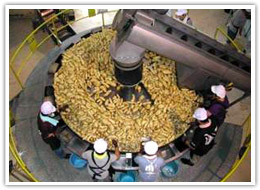 Each year's production is done right after the harvest season. Imo Shochu is finally completed after such a scrupulous process. 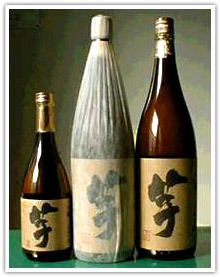 "Imo Koji Imo" is a stately representation of imo shochu. People who like imo shochu should definitely try this product out. Made with 100% sweet potatoes. Epitome of imo shochu. Made with 100 year old "Tsurunashi Genji" and local rice "Yume Toiro." Has a sweet hint of imo. 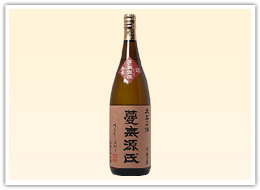 *Imo Shochu "Tsurunashi Genji" uses rice malt as well.